The Visit Hendricks County staff scoured Hendricks County looking for one-of-a-kind finds you can only get here. In many cases, that means these gifts are handmade by local artists or simply are items you will only find in Hendricks County. This installment focuses on all of the moms, and we have put together an amazing list that will make her proud. But even if the particular item or experience we feature may not be exactly what you&apos;re looking for, we suggest visiting each of these small businesses as they just might have that gift idea you thought you would never find. 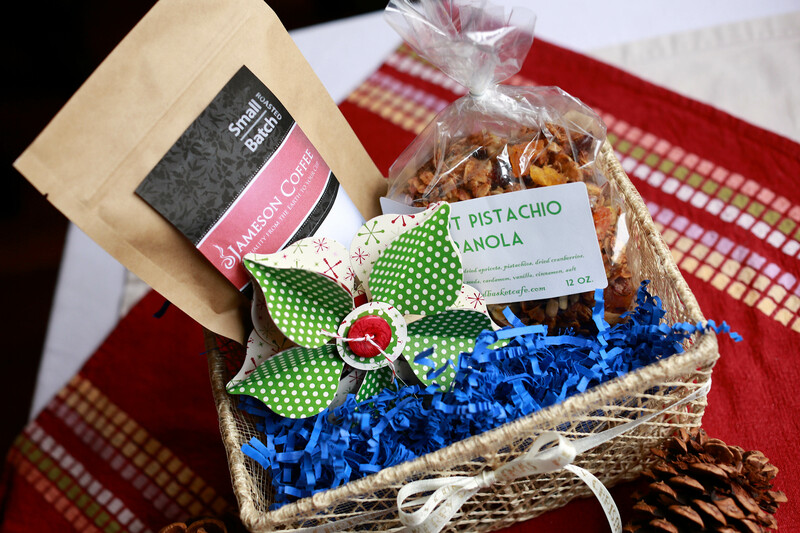 In true holiday fashion, one of our favorite restaurants, the Bread Basket Cafe & Bakery, 46 S. Tennessee St., Danville, will be making and selling gift baskets during the holidays with a variety of items that should interest any mom. 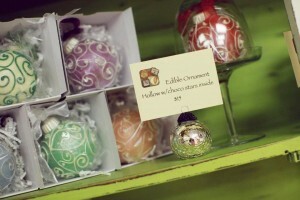 They plan to offer a couple of options: grab & go gift baskets and custom-built baskets. Some of the items they will have on hand to fill the baskets include tea, granola, coffee beans, breads, gift cards and so much more. They will range in price from $20-$50. While you’re there, don’t forget to pick up a Sweetie Pie or Baby Cake, and we dare you to look at that dessert case and not order something. When it came to scarves, we found a lot of options during our scouting, but no place had quite the selection like Frazee Gardens, 3480 N. Ind. 267, Brownsburg. Their varieties included knitted, silk, nylon and wool in an endless array of patterns, styles, colors, widths and lengths. 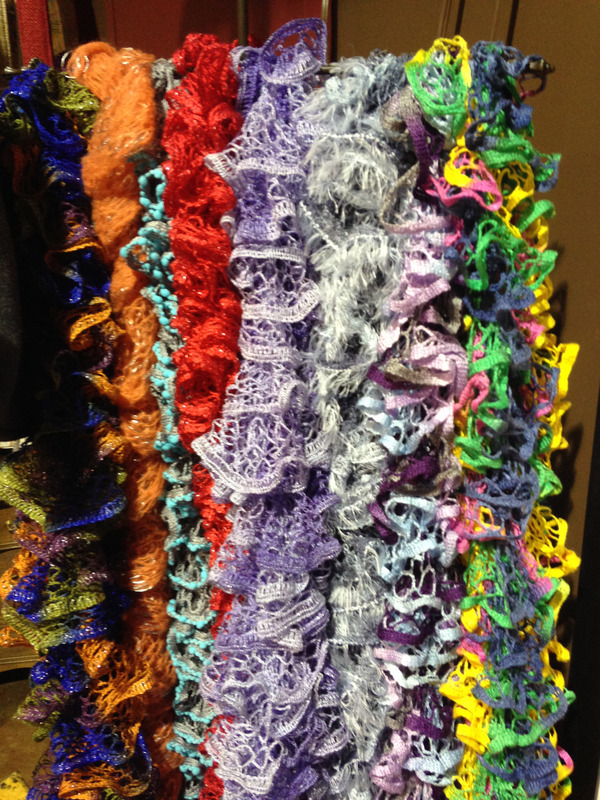 Their selection literally crosses the spectrum from light to heavy and even from commercially made to local, handmade Steedman scarves in their artisan section of the store. Prices ranged from $12.99-$39.99. 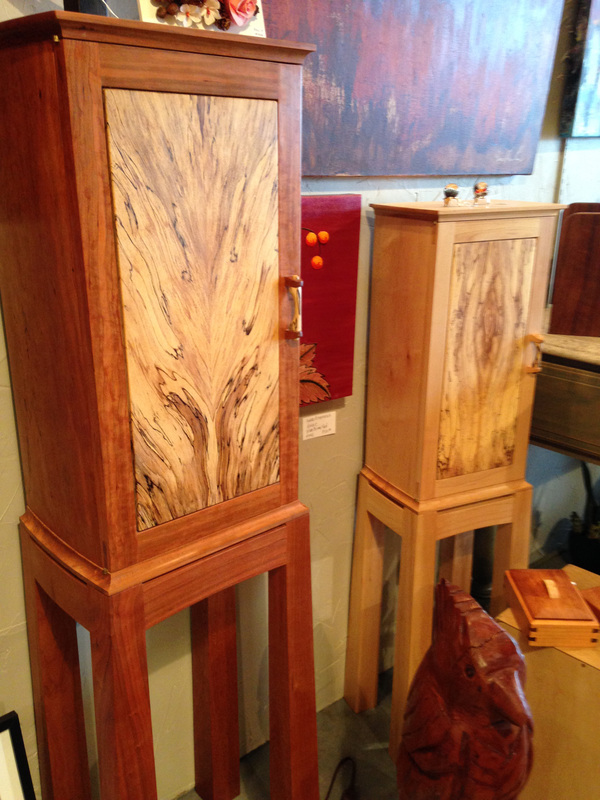 We had a difficult time choosing just a couple of one-of-a-kind finds at Finer Things, 1032 E. Main St., Brownsburg, but we could not leave the store without highlighting the vast array of handmade wooden boxes available there. From small, affordable trinket boxes that start at $35 to the larger wood cabinets that stand 5-feet-tall and can cost as much as $1,500, Finer Things had a price point for any buyer. We marveled at the craftsmanship as we inspected each piece. You could tell there was a lot of care and work put into every box. We even learned that virtually every piece of every box was made by hand as the artist used no machines. In the case of the bigger cabinets, that means the adjustable shelves, pull-out drawers, its base and even the handles for the doors and screws holding it together were all handmade from wood. Gallery on the Square, 51 S. Washington., Danville, offers a couple of experiences that would make that creative gal on your list happy this holiday season. 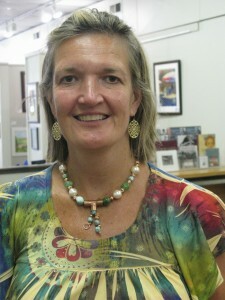 Both classes we learned about that are offered by local artists at the Gallery include bead weaving and wire working. The bead weaving class teaches the basic techniques of needle threading one bead at a time to make a necklace or bracelet. Once you learn the basics, the instructor tells us you can use your imagination from there. Similarly, the wire working class teaches the basics of manipulating wire and semi-precious gemstones to make a beautiful necklace. 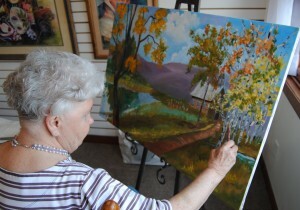 Both classes cost $35 to attend, and Gallery on the Square offers gift certificates for their classes or to purchase any of the items inside the shop. Contact or stop by Gallery on the Square for more information. What’s better than chocolate? How about chocolate art? Confection Delights, 57 S. Washington St., Danville has an amazing selection of what we like to call edible art that changes each season. During the holidays, the shop will feature hollow chocolate ornaments ($15), brownie bite snowmen and angels ($2), truffle gift boxes ($6-$25) and chocolate monogram initials ($2). Confection Delights has so many options, including their famous high-heel shoes made entirely of chocolate, that we recommend visiting the store because you might find something we didn&apos;t see for your mom. The true definition of one-of-a-kind finds came into focus as we laid our eyes on Indiana artisan Shirley Adams’ purses at Gallery on the Square, 51 S. Washington St., Danville. From shoulder to cross-body and clutch to coin purses, there should be a style for any woman on your shopping list. Add to that all the various fabrics, designs, sizes and colors, and you may have trouble narrowing the list to just one. Each purse is handmade from scratch, and she also adds buttons, beads and even hand-woven art to give each its own personality. 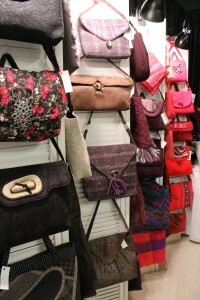 The purses range from $15 for a small cotton coin purse to as much as $200 for the bigger purses with hand-woven art. Virtually any mom would love to take a trip on our Rural Routes to Main Street Cultural, a self-guided, self-directed driving tour with more than 30 stops in Hendricks and Morgan counties including art galleries, restaurants, handcrafted gift shops and much more. We figure all she needs is that little nudge, so why not take a look at the cultural trail’s stops, find a few that you think she would like to visit and contact them about gift certificates. Virtually all of the stops offer them, she could get what she wants, enjoy a day away from home and she will have you to thank for it. 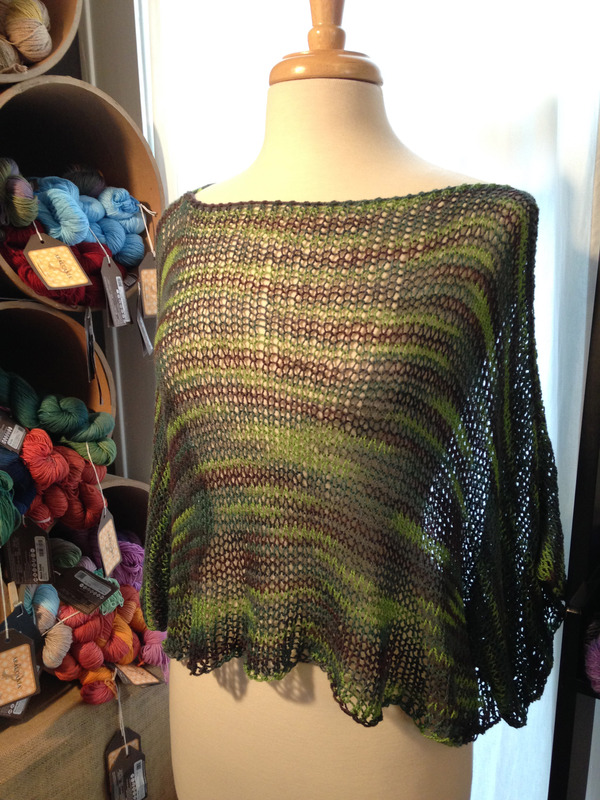 If you have an experienced knitter on your holiday shopping list or even a beginner who is eager to learn, we found just the gift for you at Nomad Yarns, 218 E. Main St., Plainfield. The store, which sells a variety of yarns, fabrics and other knitting and crocheting accessories, had knitting kits and some unique knitting-themed jewelry that caught our eye. The kits Nomad Yarns will feature during the holiday season include a Bobbly Bag for $29; Christmas stocking ($17); Flappertastic hat ($20.50); Kitten mitts ($23); Lacy Shrug ($26); Light as Air crochet pattern ($21) and a beginner’s kit ($15). I don’t have enough room in this space to describe each pattern to you, each of which are Nomad Yarns originals, but we loved them all. All the kits come with the yarn and pattern in a choice of colors and have full explanations and tutorials of any new techniques. The store also offers regular classes. While we were in the store, we also noticed some unique Hendricks County artisan jewelry made from knitting needles that would also make a great gift for mom or grandma. The jewelry included earrings, bracelets and shawl pins and ranged from $12-$30.